Although Halloween is over, now it's time to gear up for Thanksgiving! 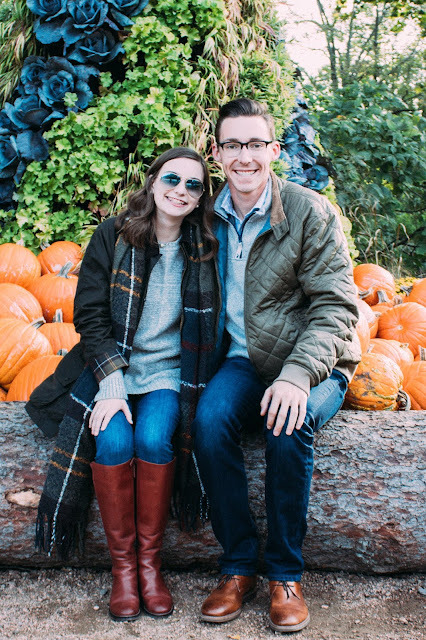 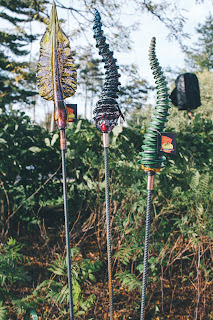 Since Thanksgiving is still a pumpkin appropriate holiday, I wanted to share some photos I took at the Morton Arboretum's Glass Pumpkin Patch event in Lisle, IL. 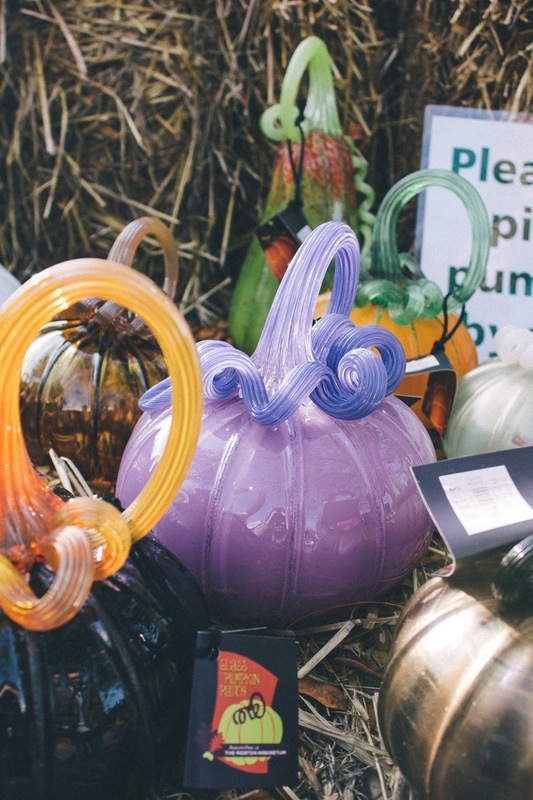 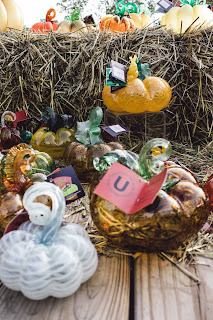 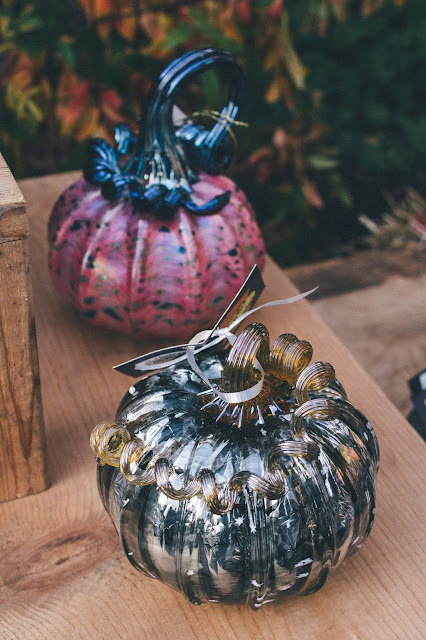 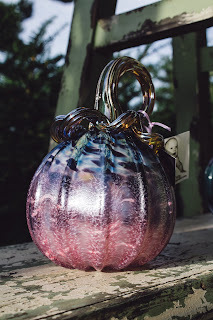 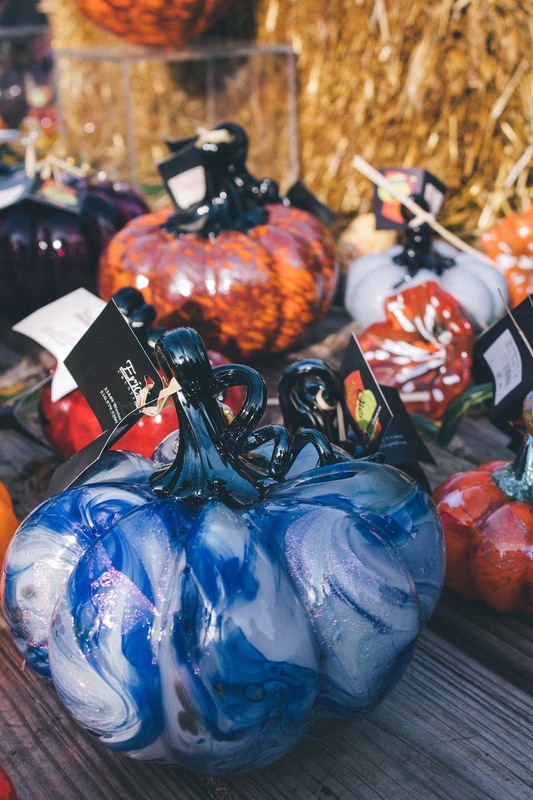 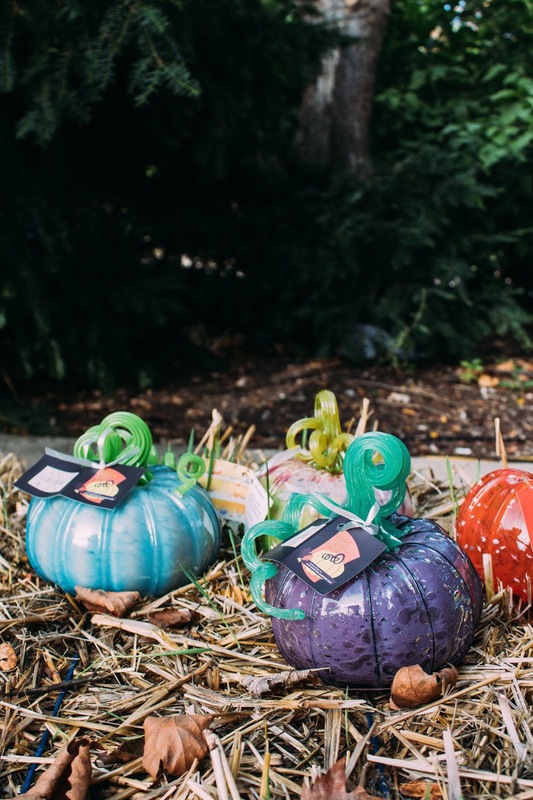 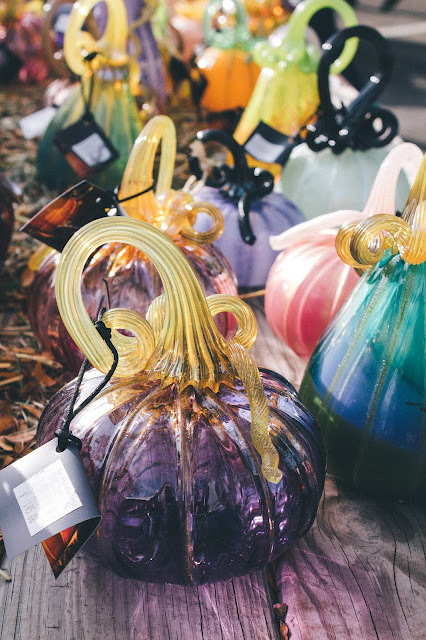 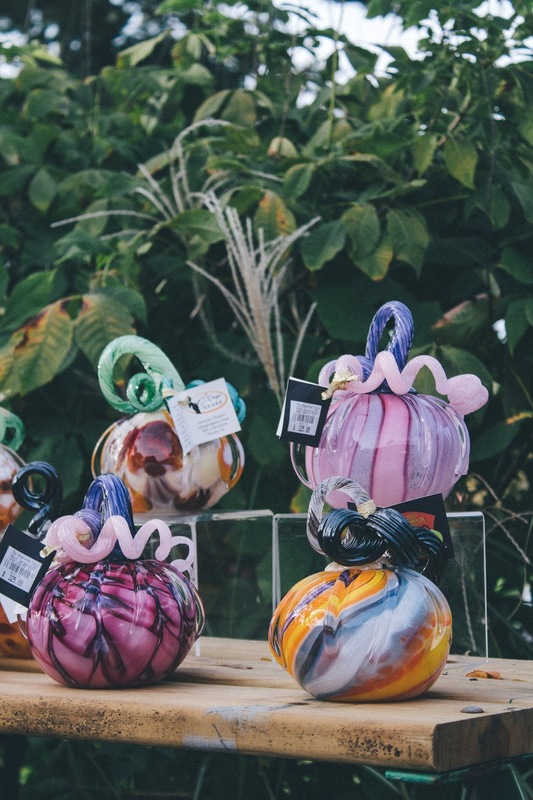 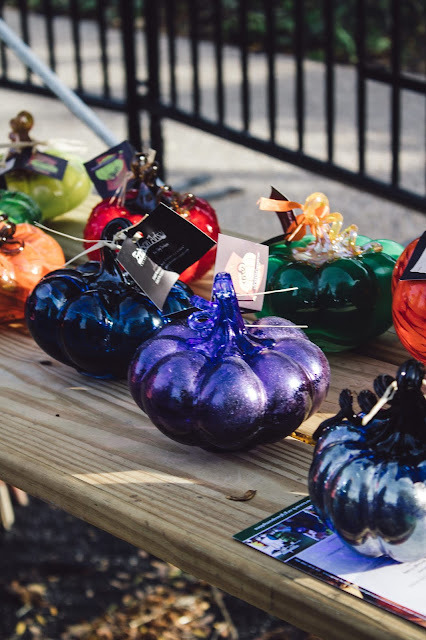 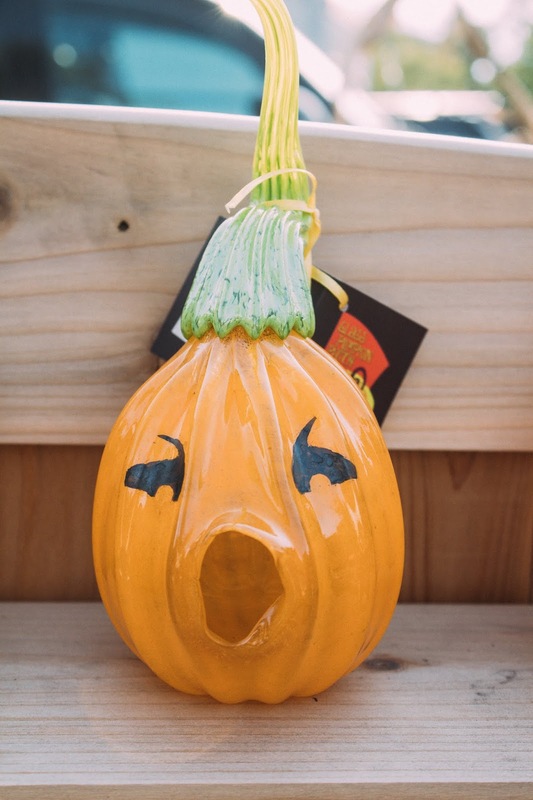 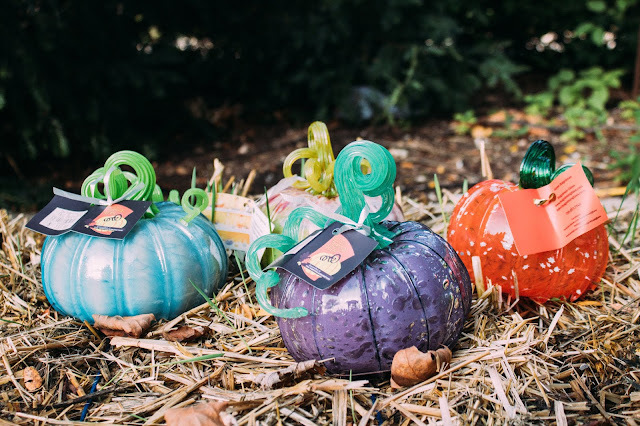 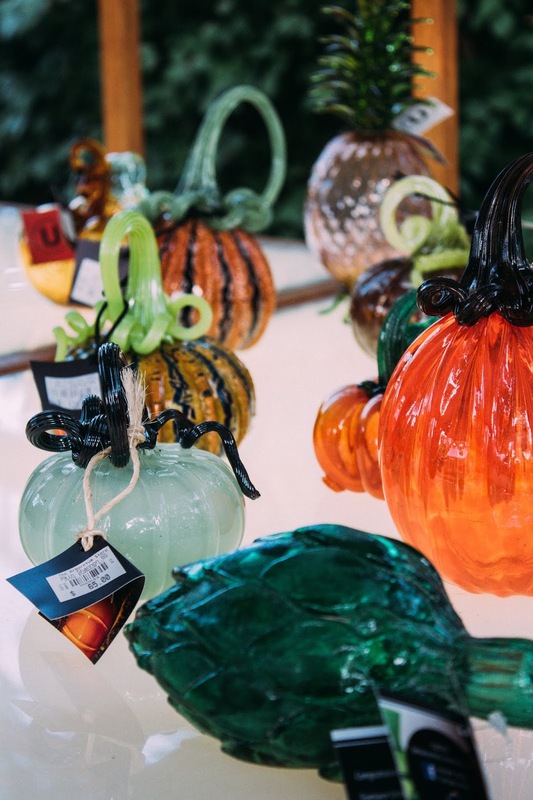 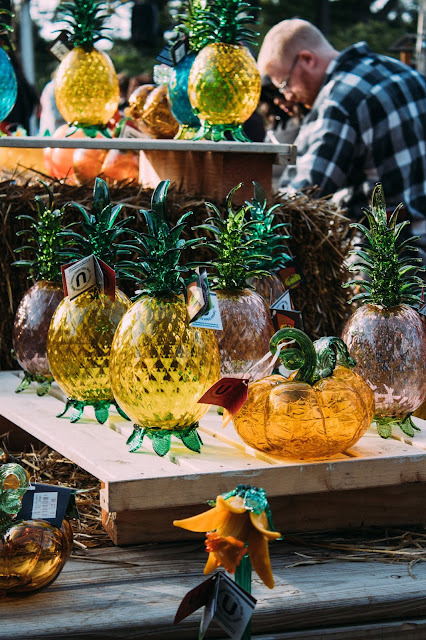 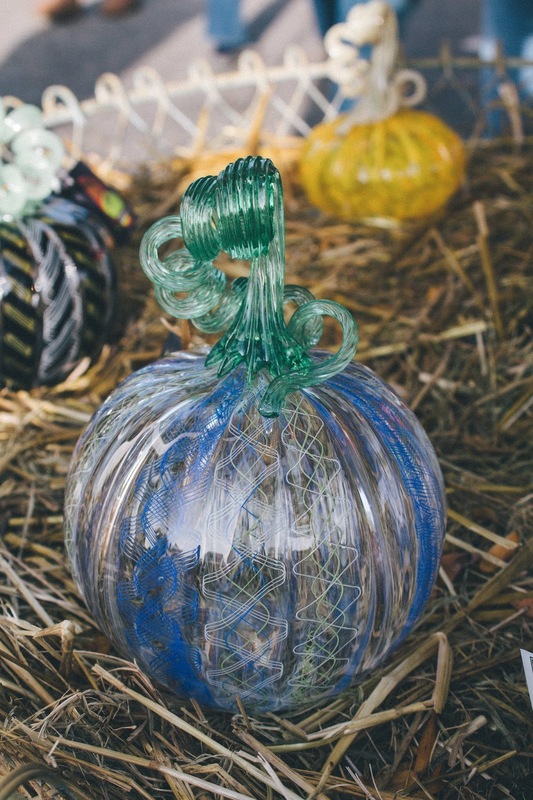 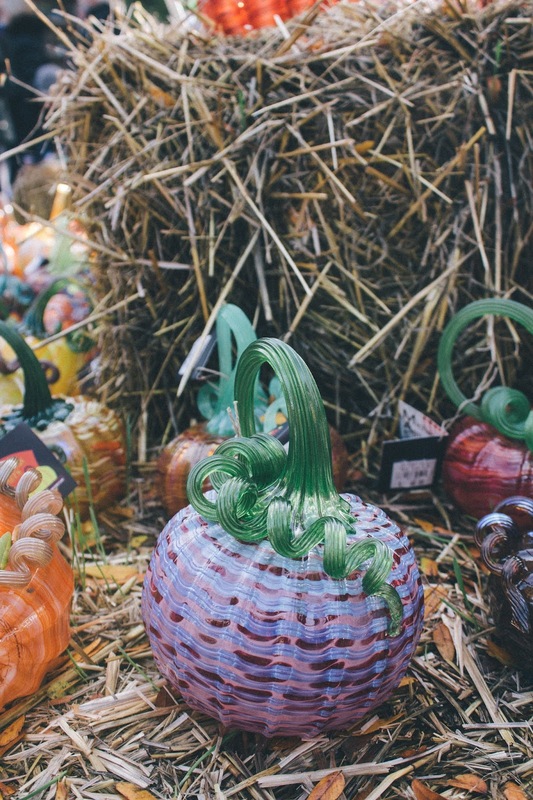 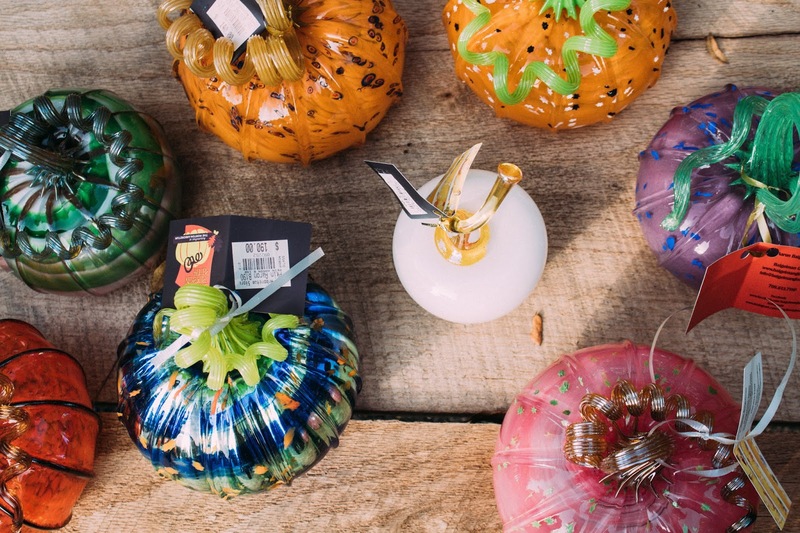 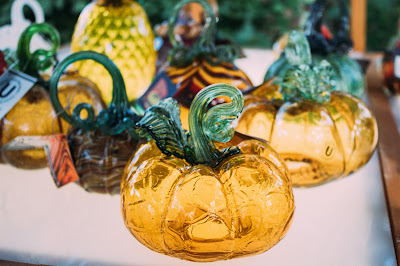 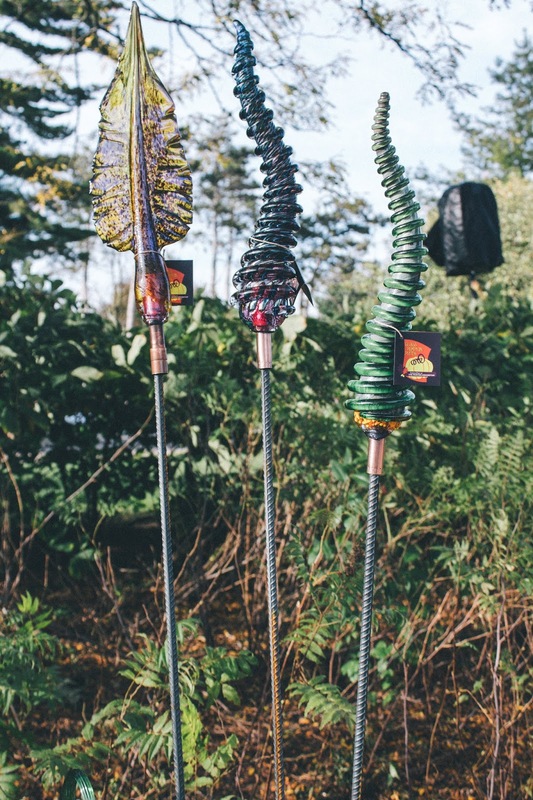 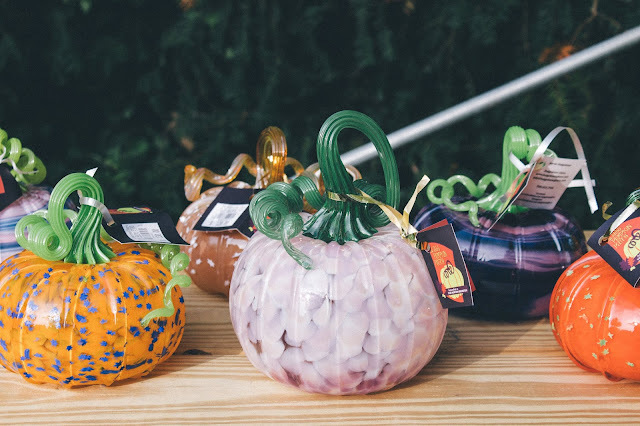 The event features handblown glass pumpkins that are available for purchase. They also have tasty food as well as other activities like live demonstrations. I was in awe of all of the gorgeous pumpkins and dazzling colors. 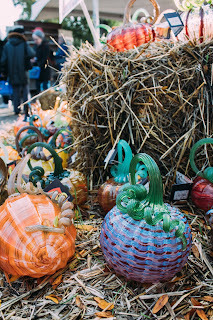 The pumpkins were in traditional orange hues but also fun colors as well! 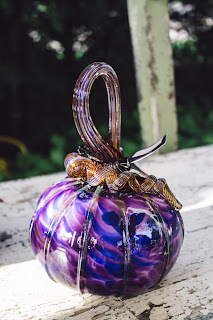 I'm a huge fan of purple so I took photos of all of the purple pumpkins! 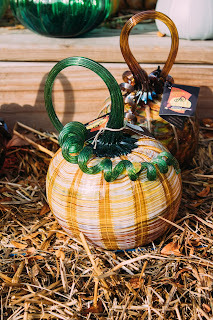 Prices ranged from anywhere from $75-$195. 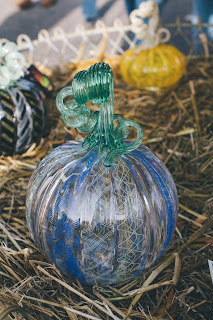 All of them hand so much craftsmanship put into them it was insane! This purple one was one of my favorites! 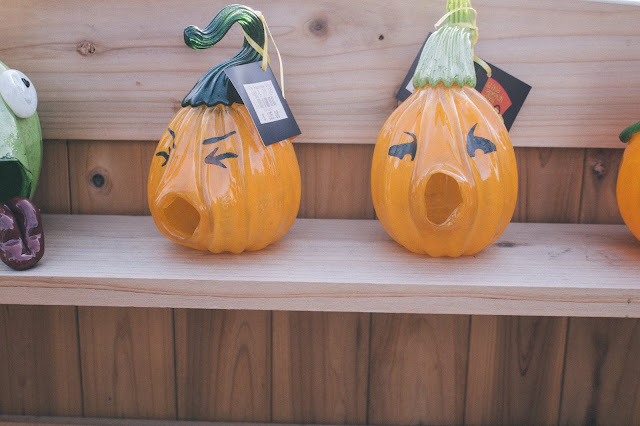 Cute little pumpkin faces are the best! 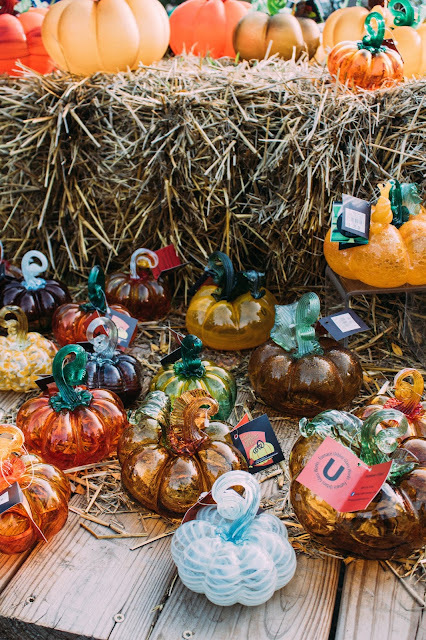 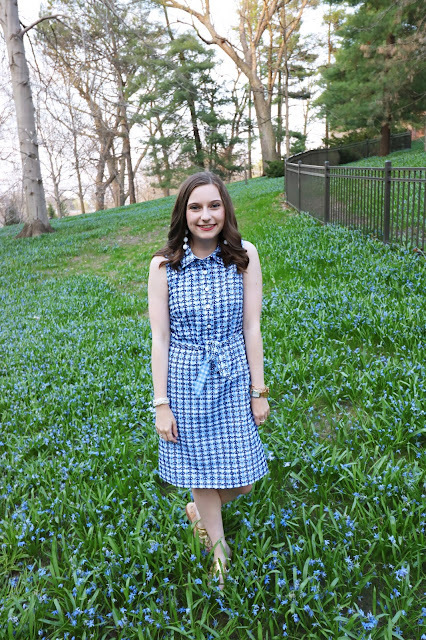 What are your favorite fall traditions? 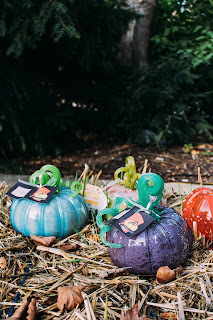 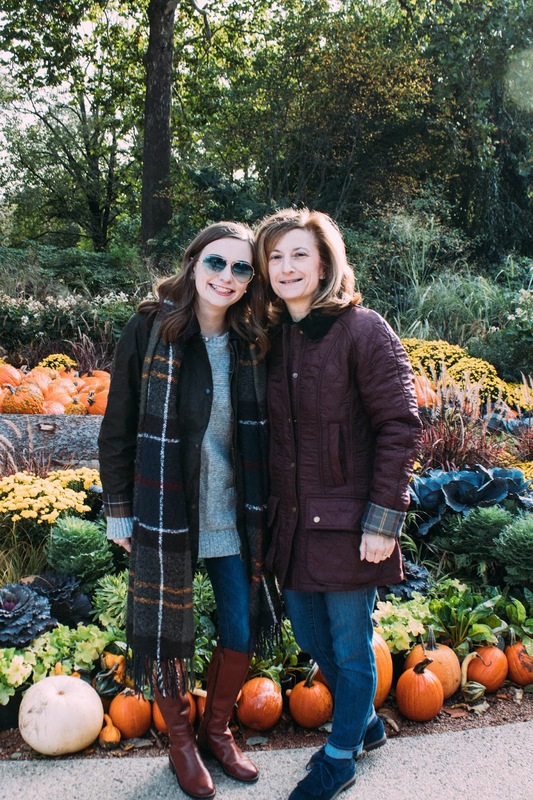 Going to the Morton Arboretum may have to become a new fall tradition for me!